Following a briefing by UN Personal Envoy for the Sahara Horst Kohler, members of the Security Council stressed the need to include Algeria in any future talks on the conflict. Algeria which has for decades hosted, armed and funded the Polisario militia and offered a slice of its territories to the separatist group where they auto-declared a state, is now more than ever called upon to contribute to efforts aiming to finding a political solution to the four-decade conflict. The UK presidency of the Security Council made it clear that Kohler should consult all the parties in question, notably Algeria, in order to relaunch talks. Last April, King Mohammed VI sent a letter to UN chief Antonio Guterres in which he highlighted the Algerian role in perpetuating the conflict over the Sahara and urged Algiers to uphold its responsibility as it continues to fund, host, arm and back diplomatically the Polisario militias. Therefore, for the Moroccan diplomatic action, Algeria should play a role that is commensurate with its responsibility in the development of this regional conflict, stressed the king in the letter. The Algerian umbrella has emboldened Polisario armed men to threaten on multiple occasions the stability and security of the North African region by engaging in piracy and banditism as well as cross border trafficking. Morocco’s calls for Algeria to sit in the table of negotiations as a direct party in the Sahara conflict were echoed in the 2414 Security Council resolution. The Resolution called upon “the parties and the neighboring States to cooperate more fully with the United Nations and with each other and to strengthen their involvement and to achieve progress towards a political solution. 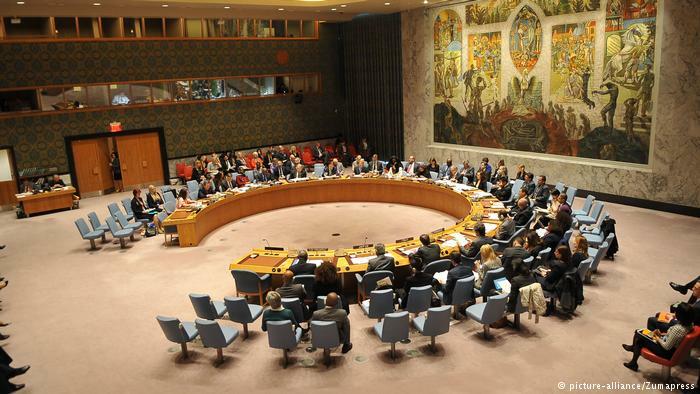 The statements by the UK presidency of the UN Security Council are indicative of the awareness of the international community of the useless of talks between Morocco and the Polisario, which has become more than ever a tool manipulated by the Algerian regime to contain the Kingdom. The UK presidency reiterated what has been said in Resolution 2414 urging the UN Personal Envoy to undertake consultations with all parties, including Algeria. The international community is increasingly aware of the role that Algeria can play in facilitating a political solution to the conflict. They see in the perpetuation of the Sahara conflict a source of security and stability threats in North Africa, the Mediterranean and beyond, hence the need for finding a mutually beneficial solution that respects Morocco’s sovereignty and territorial integrity. The UN has only renewed the UN mission for the Sahara (MINURSO) by six months instead of one year as usual. This also indicates that the international community is fed up with the status quo and wants progress to be made in resolving the Sahara issue. To do so, real parties to the conflict should sit in the negotiation table. After the Moroccan autonomy initiative fell on deaf ears in Algeria, Rabat is now aware that negotiations with the Polisario are a waste of time in the absence of the mentor, Algeria. A UK diplomat said the talks are scheduled to be launched by the end of December 2018. Meanwhile, pressure is mounting on Algeria as Polisario mentor and host to contribute towards a political solution that would spare the Maghreb conflict and instability prospects. Written by: Jaber Ali on August 11, 2018. Posted by Jaber Ali on Aug 11 2018. Filed under Headlines, World News. You can follow any responses to this entry through the RSS 2.0. Both comments and pings are currently closed.